Published: May 2, 2017 at 04:13 p.m.
Not all rookies are created equal. Some require a certain amount of seasoning before they can contribute on an NFL field. Others are ready to shine right away. Drafted: Round 1, No. 6 overall. This tough, physical player can be effective in the box or in pass coverage. He's very smart and has great character -- Adams is the only player in LSU history to have served as a game captain as a freshman. He will be a Day 1 starter and an eventual Pro Bowler for the Jets, who have a stud safety for the next 10 years. I know Adams' father, George, who was drafted in the first round by the Giants in 1985. 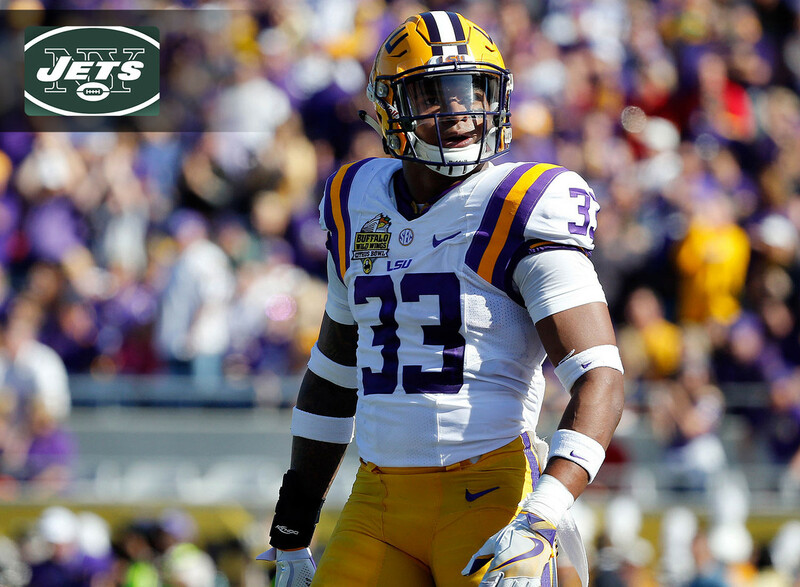 Jamal Adams is one of the nicest people you'll ever meet in your life, but he's also a tough S.O.B. Drafted: Round 1, No. 20 overall. Denver will need to develop Bolles quickly to help solve its offensive line problems. The key for Bolles is improving his pass blocking, as he's already a pro-ready run blocker. Drafted: Round 4, No. 119 overall. Cohen should provide some additional burst out of the backfield for the Bears, especially as a receiver, where 2016 breakout back Jordan Howard doesn't offer much. Cohen also should add juice to a return game that still hasn't really replaced Devin Hester. Drafted: Round 1, No. 21 overall. Detroit made the playoffs last season despite being outscored by 12 points -- and the Lions proceeded to give up 177 rushing yards in a postseason loss to Seattle. Davis will bolster the defense and help return the Lions to the playoffs. He has great instincts for the linebacker position and is capable of playing strong, middle or weak linebacker; he can also play all three downs. The very aggressive Davis ran a 1.57-second 10-yard split at his pro day. He'll start Week 1, and his teammates should rally around him, given his outstanding leadership ability. Drafted: Round 3, No. 70 overall. Elflein has the versatility to play center or guard. Whichever position he ends up starting at in Minnesota, he'll contribute as a rookie. Drafted: Round 1, No. 23 overall. Engram will give the Giants even more firepower on offense. After all, the guy clocked a 4.42 official 40 time at the NFL Scouting Combine -- at 234 pounds. Engram posted 162 catches at Ole Miss and had the most receptions of any Division I tight end in 2016. Engram is not currently a great blocker, but I think he'll learn. The defensive coordinators of the Giants' opponents will have to cook up something special to contain Engram and this offensive attack. Drafted: Round 1, No. 31 overall. This guy is an unbelievable football player -- he can really bring it. In fact, one team had Foster rated as the best player in the draft. He's very physical and plays with great passion. Foster excels in pursuit; he's very strong and the most competitive linebacker I've seen since Jack Lambert. Foster can cover tight ends and running backs and plays with reckless abandon. Drafted: Round 1, No. 4 overall. Fournette should become the first Jaguars running back to top the 1,000-yard mark since 2011. He's a rare talent who, when it comes to SEC backs, ranks up there with legends like Bo Jackson and Herschel Walker. Fournette is quick and explosive -- his 2.5-second 20-yard split at the combine was better than any other back -- and has great cutback ability as a runner. Plus, he can catch passes and return kickoffs. To top it all off, he's a nice young man, too. Drafted: Round 1, No. 1 overall. Garrett has the potential to be just the second Browns player in this decade to post double-digit sacks in a season. He also has a chance to be the best edge rusher since Julius Peppers in his prime. Garrett has outstanding athletic ability -- consider that he improved on his combine times at his pro day, just to show everyone he could. He'll make the entire Cleveland defense better, freeing up his teammates to make more plays. Drafted: Round 1, No. 19 overall. Having played in a pro-style offense at Alabama, Howard quickly will become a factor in Tampa. Bucs coach Dirk Koetter loves passing to tight ends -- consider that in Koetter's two seasons as offensive coordinator in Atlanta, Tony Gonzalez racked up 176 receptions. So it stands to reason that Howard will be a frequent target. He'll start from Day 1 and rapidly ascend to Pro Bowl status. His 1.52-second 10-yard split at the combine is fast for a 251-pound guy. Drafted: Round 1, No. 8 overall. McCaffrey will be a matchup nightmare for opponents -- he can run as a back or flank out as a receiver. He will be very hard to cover on high-percentage passes coming out of the backfield, especially when you factor in the threat of him catching screen passes. McCaffrey is tough, athletic and has great work habits. He will help Cam Newton become a better quarterback and improve his completion percentage. McCaffrey also will be a factor in the return game. Drafted: Round 2, No. 58 overall. The Seahawks need offensive line help, and Pocic can provide it. He can play across the line -- at center, guard or tackle -- though I believe he ultimately will settle in at left tackle for Seattle. Drafted: Round 2, No. 40 overall. Samuel is my dark-horse candidate for Offensive Rookie of the Year. He's like a Percy Harvin clone, only stronger. At Ohio State, Samuel lined up at running back, H-back and receiver, and he posted 74 catches without a drop in 2016. He has great speed and acceleration. At his pro day, Samuel looked like Secretariat. He will make catches in traffic and plays his best against tough competition. Samuel most likely will be a slot receiver on early downs, but he can line up as a back on third down, which will pose a real conundrum for defenses. Yes, I know he'll have to fit in among weapons like Greg Olsen and fellow rookie Christian McCaffrey in Carolina, but he's just such a mismatch threat, and the Panthers will be very creative with him, giving him a chance to make a major mark. Drafted: Round 1, No. 7 overall. Philip Rivers will love Williams, who makes you think of Keyshawn Johnson. Williams can get off the jam. He has great size and is outstanding at tracking the ball. He's smart, athletic and has long arms. Reminiscent of a Charles Barkley-esque rebounder in the NBA, Williams knows how to come down with throw-it-up jump-balls -- he'll win 90 percent of those 50-50 battles.